Every day the web of underground utilities we rely on grows a little bit larger, making life for those whose livelihoods involve excavation a little more difficult and dangerous. 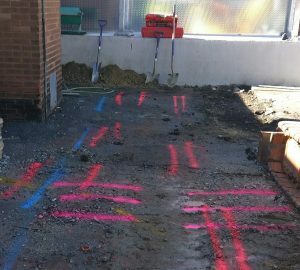 There are two primary technologies in use today in the utility locating industry to help construction and excavation professionals reduce their liability and preserve the integrity of subterranean infrastructure: electromagnetic locating systems (EM) and ground penetrating radar (GPR). 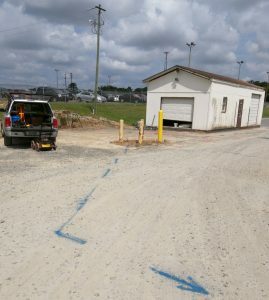 EM technology is the older and perhaps more familiar of the two common methods for locating subsurface utilities. EM locators operate on the principles of electromagnetic induction. Electromagnetic waves are all around us, encompassing everything from light and sound to the signals delivered to your satellite dish, X-rays, microwaves, and more. Electromagnetic locating instruments work by either inducing or directly injecting an electromagnetic signal onto the targeted utility pipe or cable. These instruments typically utilize frequencies between roughly 400 hertz and 480 kilohertz. Lower frequencies tend to remain on the target utility better than higher frequencies, which sometimes have a tendency to “bleed over” onto adjacent conductors, causing errors and distortions that can fool even the most experienced technicians. An EM locating instrument consists of two pieces: a transmitter and a receiver, and comes in single or multi-frequency configurations. Single frequency models are usually intended for a specific type of utility (pipe or wire based). Mutli-frequency units offer the user more versatility and better odds of finding all conductive utilities in a given area, but all EM locators are limited to conductive utility tracing only. If infrastructure made of non-conductive materials such as concrete, asbestos, plastics, or clay need to be found, an electromagnetic locating instrument is utterly useless. 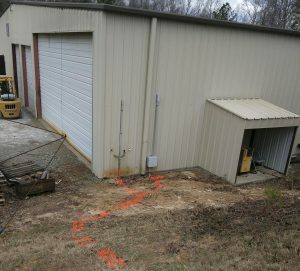 Ground penetrating radar (GPR) is similar to EM locating in that both technologies use electromagnetic frequencies, but the two are as different as night and day. Where EM instruments transmit a traceable signal onto a conductor, GPR uses a much higher pulsed frequency transmitted directly into the ground. The pulsed energy is reflected back to the instrument where the time difference between returned pulses denotes the presence of a utility or other hard structure below the surface. 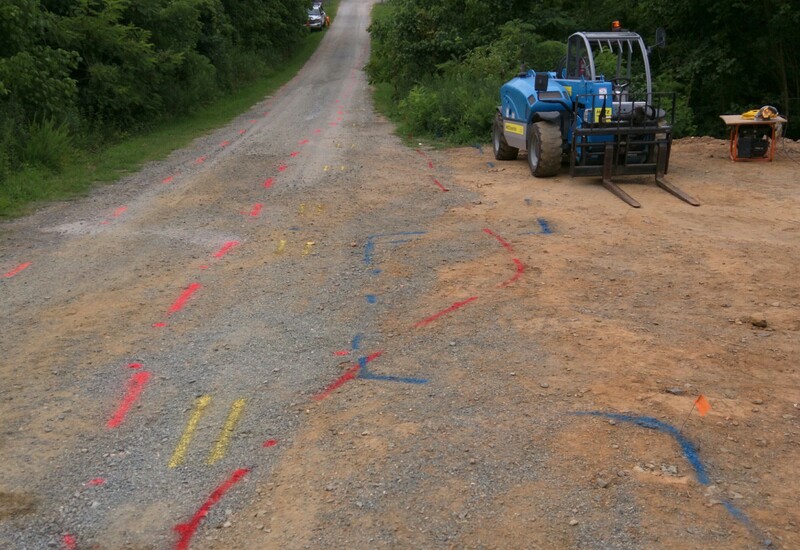 Wire based utilities such as electrical or telecommunications networks are typically located using electromagnetic technology, while GPR is used most often to find non-conductive or poorly conductive facilities such as cast iron or plastic water lines. Both technologies have their strengths and shortcomings, which is why most independent utility locators carry both types of equipment. 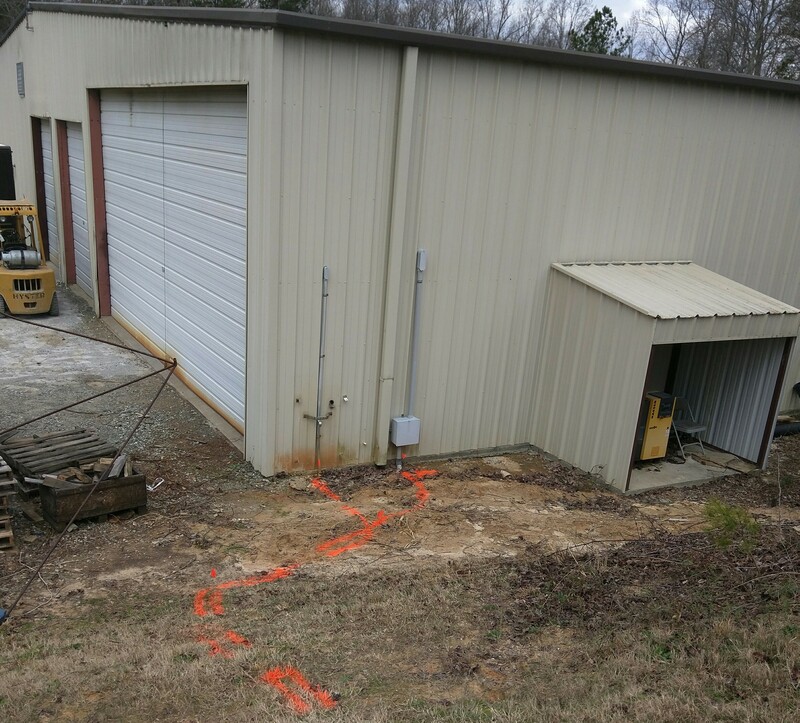 Ground penetrating radar can usually fill any holes left in an EM utility survey, but soil conditions have an enormous effect on how well both types of instruments perform. Moist clay is an ideal operating environment for most electromagnetic locating, while dry sandy soils are among the worst. Fortunately, the exact opposite is true of GPR; it loves dry sandy soils, but quickly encounters visibility issues in wet, heavy clay, or very rocky soils. Neither technology alone will ever be 100% effective in all situations, but the combination of the two offers all interested parties the greatest chance for success. 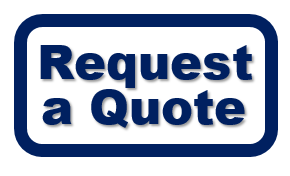 Click here if you’d like to request a quote.